Lady Gaga is back on her street styling ish, where she serves up different looks while heading to the studio and various other places working only looks she can do. Yesterday(June 27th) she was spotted out once again in New York. 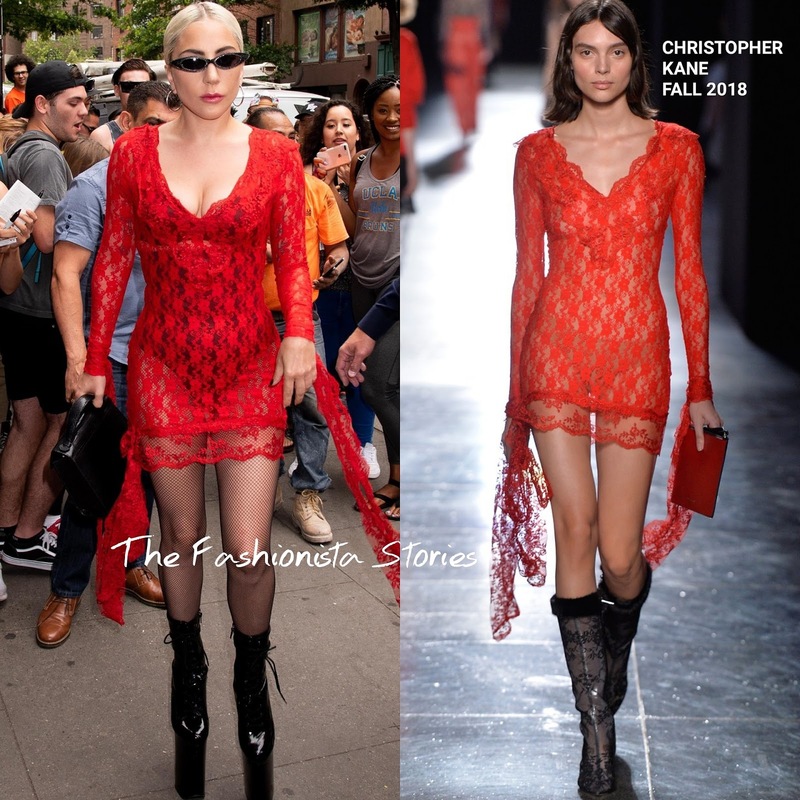 For her outing, she wore a CHRISTOPHER KANE FALL 2018 long sleeve red lace mini dress with with a v-neckline, draped cuff panels and a black bodysuit underneath for coverage. She also styled her look with black fishnet stockings and her signature black towering, platform boots. While this may not go over well for some, it's a look that is right up Gaga's style alley.